"The car drove in and we heard something go 'meow,'" Troy Lerdo of Gary Yeoman's Ford Lincoln auto repair and dealership told The Dodo. Somehow, a cat had managed to trap himself inside his neighbor's car and, even more remarkably, had survived the drive to the shop in Daytona Beach, Florida. 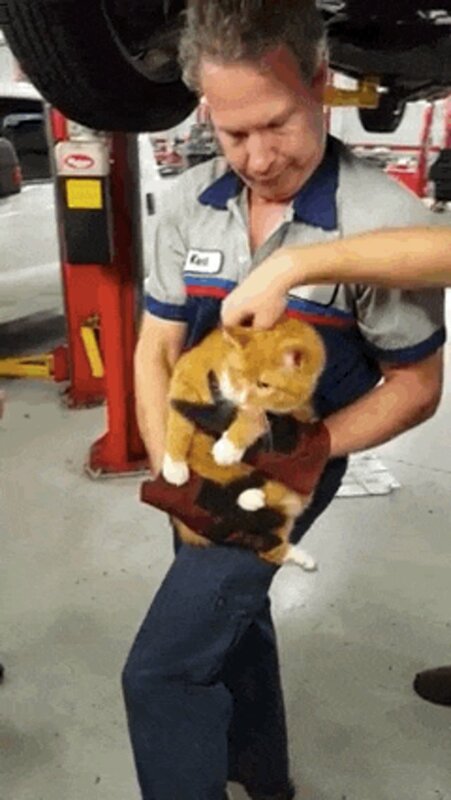 Service technicians reached above the front right tire to free the trapped cat. Several more meows echoed from inside the small compartment above the wheel well as the men gave a few gentle tugs. ... the not-so-little tabby cat made it back into the daylight. 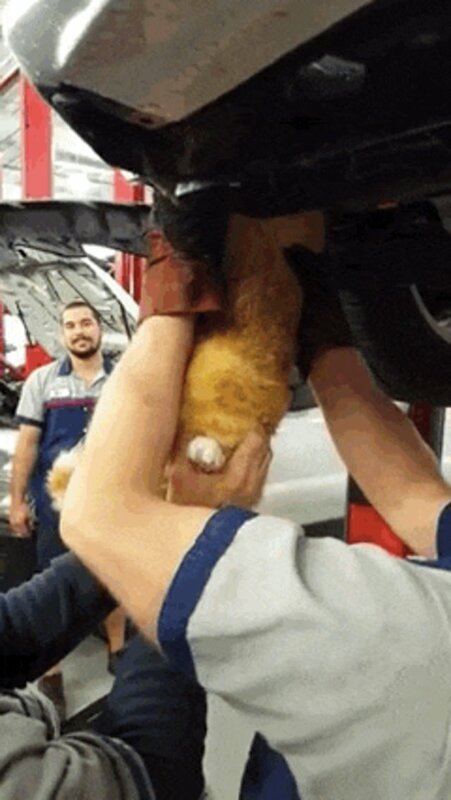 The car owner immediately recognized the cat as his neighbor's and returned him home after the car's service was completed. As for what led the cat to climb under the car's hood, Lerdo believes the cat was seeking shelter from the weather. "We had a couple cold nights in the thirties," he said. Even if you generally keep your pet outdoors, some weather is just too cold, especially when they're used to the Florida heat. Here are a few tips on keeping your pets safe during extreme weather conditions. Luckily for this cat, no harm came from the whole ordeal. Not even a scratch. 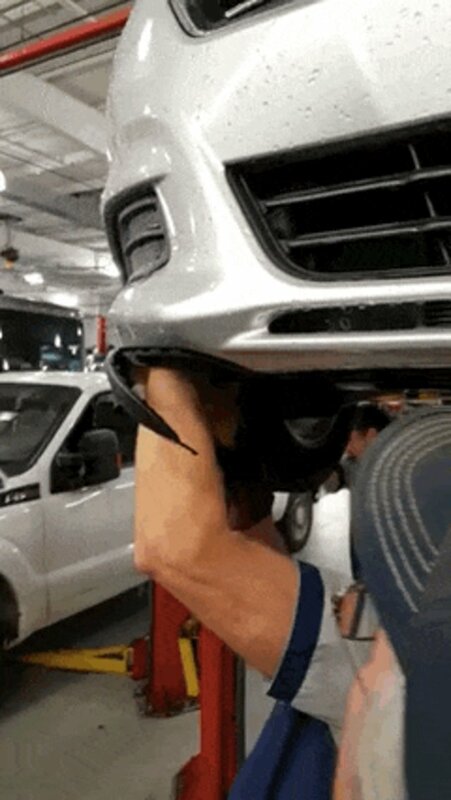 The car took more damage, losing part of a fender during the rescue operation, but the men at the shop fixed it up on the spot. "Free of charge," said Lerdo.